Doug Simkin, Norman Rooke, Bill Davis, Ross Astbury, Tom Munro. Graeme McCallum, Trevor McCallum, Hughie Eagleson, Paul Kindred, Robert Goodwin. 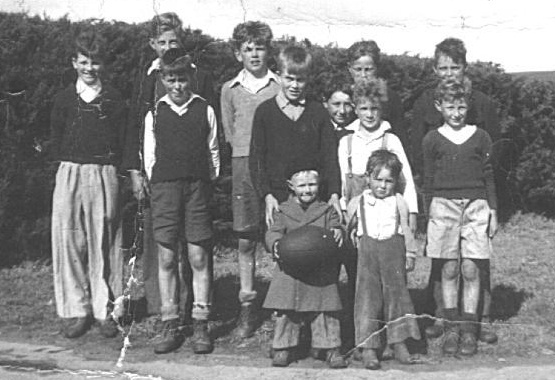 Peter Munro [ holding the ball], Roderick Kindred.